"While there was a section on a trade that could foreshadow a rocky period of economic ties, overall the leaders hit the right points on our recent and future progress on Asian security," he said. 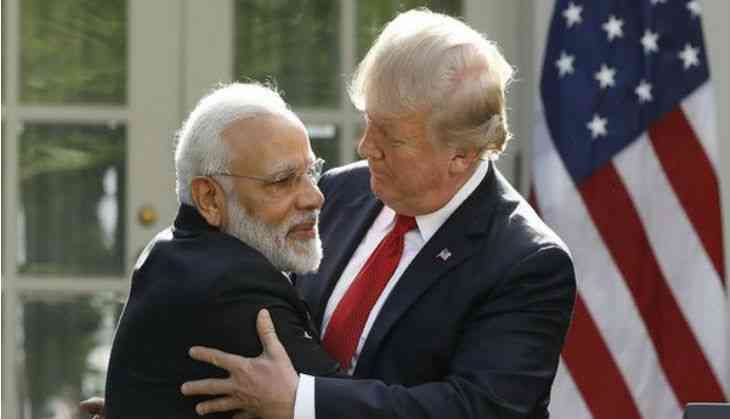 Sadanand Dhume, the resident fellow at the American Enterprise Institute, said Prime Minister Modi once again showed that foreign policy is one of his greatest strengths. "In a period of global flux, it was important for New Delhi to ensure that US-India relations remained on track. Modi achieved this task admirably with a combination of energy, charisma and charm," Dhume said. "I think from where we started this was a victory of sorts. We, of course, ended the trip without any incident," noted Bharat Gopalaswamy of the Atlantic Council. "Moreover, we ended on positives on counter-terrorism, especially Pakistan and also the way that we concur our views on China and Indo-Pacific construct overall. The defence relationship has been strengthened with the sale of drones. Trade was always and will continue to be sticky and have its challenges," he said.